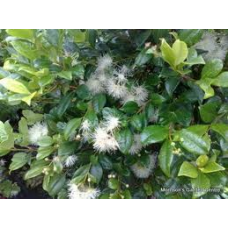 Syzygium Australe – Lilly Pilly is a native Australian plant that adds wonderful charms to your garden. 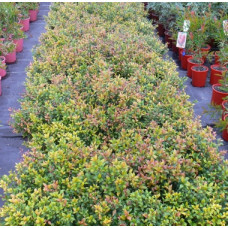 Glossy evergreen foliage & coloured leaf growth makes Lilly Pilly hedge Plants & Tree varieties as perfect hedge & screening plants. 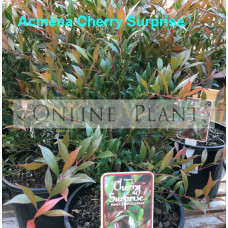 Acmena & Syzygium Australe varieties of plants are loved by birds for safe nest building. What Do We Stock And Where Do We Supply? 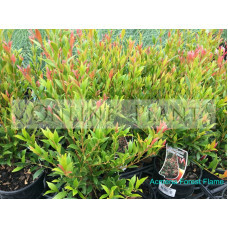 Online Plants has an extensive range of all new release and old-fashioned varieties of Lilly Pilly. With us, you can choose from a wide array of Lilly Pilly plant varieties that include hedge, dwarf and standard varieties as well as fruit trees. 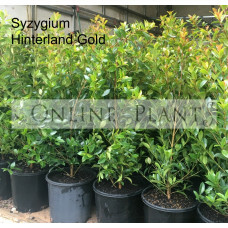 From species such as backyard bliss, Syzygium Resilience Lilly Pilly and big red to common forms of Acmena & Syzygium Australe, we deliver hedge plants to Melbourne, Brisbane, Perth, Adelaide, Canberra & Sunshine coast. Where They Can Be Planted? 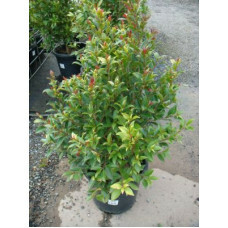 Lilly Pillies are versatile plants that they can be used for screening and hedging purposes. These plants are best to be planted around pool areas or suburban backyards. They can also be planted into pots and containers in balcony planting areas or courtyards. Lilly Pillies require only a little maintenance once they are established. The new plants should be watered well, especially during the first summer. Regular mulching is needed to render a cool moist root run. With periodic pruning, you can keep the plant bushy and dense. The fruits of Lilly Pilly plant varieties are edible. They are used to make jellies, jams and sauces as well as in baked foods and fruit tarts. Their taste profiles differ with the species, but probably it mimics an apple in both texture and taste. Acmena smithii 'Hot Flush' Dwarf Lilly Pilly, Evergreen shrub growing up to 1.5mt. 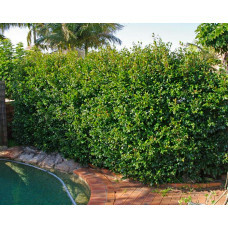 Produces white fl..
A light easily shaped hedge along pathways or in narrow beds; in containers for patio or balcony. Fe..
Acmena Smithii Minor 'Compacta' - A smaller growing, bushier variety of the Lilly Pilly. 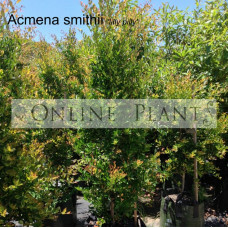 Attractive,..
Acmena Smithii 'minor' (Dwarf Lilly Pilly) - For those who only want a screen to approx 3-4 meters t..
Acmena smithii minor 'Sunrise' Lilly Pilly Sunrise is stunning as a border or hedge due to..
Evergreen large shrub that grows to approx 6-8 meters. Fantastic fast growing screening plant. Shiny..
'Aussie Southern'; A compact Lilly pilly ideal for screening & hedges as it can be shaped. Folia..
Syzygium Big Red is An outstanding new medium growing Lilly pilly with large, glossy leav..
Lilly pilly 'Obelisk' is a new form of Syzygium highly recommended by online plantsIt is a narrow fo..
'Select Form'; A compact form of Lilly pilly Syzygium Australe Select is a tough compact Lilly pill..
A small/medium shrub to 1.5m. 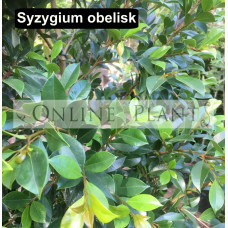 This is a very compact, small left, Lilly pilly featuring a red flush ..
Syzygium Australe Lilly Pilly ; Australian native tree grown for colorful new growth, beautiful flow..
Lilly Pilly Bush Christmas is ideal for shaping or a dense hedge. 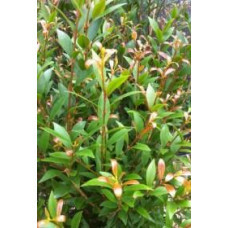 Can be kept pruned to a height of ..
A compact and smaller growing form of Lilly Pilly growing to 3m. 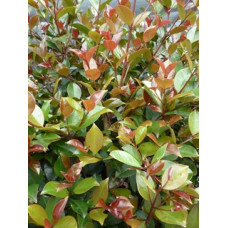 A great hedging hybrid with gorgeou..